The burger list offers diners a choice of protein – turkey burger, Angus beef burger, lamb burger, and salmon burger – all on a soft and tasty bun (including gluten free options) and with toppings that go beyond the usual lettuce, tomato, onion. 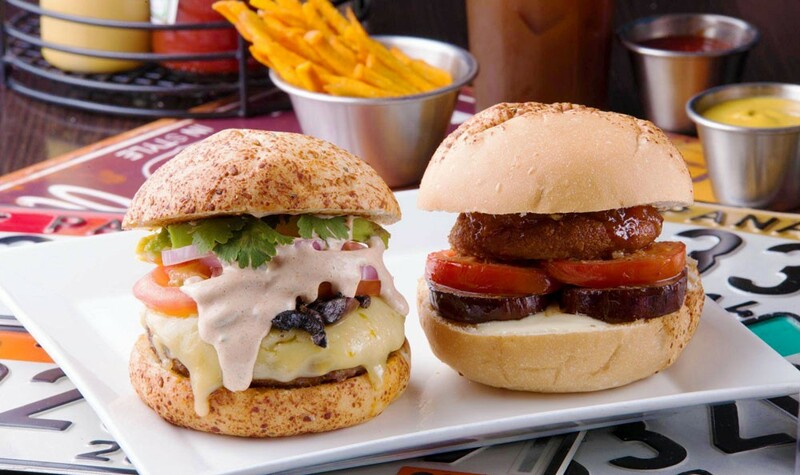 Try the Argentinian burger for Angus beef and a bright and spicy chimichurri sauce, the Mexican, with fresh avocado, or for a twist on a classic, the Route 66 – a delicious bacon cheeseburger. Insider Tip: If you can’t decide which burger to choose, order the slider trio and get a taste test of your top three choices. The mini-burgers are a great way to sample the menu. While the focus of Araxi burger is of course the burgers, the menu also offers an array of appetizers, salads, and sandwiches that get high marks from diners. The mozzarella sticks come with a sweetened house-made tomato relish and the homemade crispy onion comes with Araxi’s special chipotle BBQ sauce. And don’t forget the sides - every table receives a basket of complementary crispy potato chips – and every burger or sandwich comes with a side. The choices include the standards plus crispy tostones, sweet potato fries and corn on the cob served with just the right amount of butter. To top off your meal, make sure to leave room for a milkshake. Araxi Burger is well known for its delicious milkshakes including flavors such as crème brûlée, red velvet, PBJ, and tropical. We recommend the chocolate hazelnut; try it and you’ll see why! A neighborhood favorite, Araxi Burger is great for kids and adults of all ages – there are tables for larger parties and bar seating for casual dining. For music lovers and sports fans, the walls are covered with pictures of rock stars and sports memorabilia from decades past and the TVs regularly show international sporting events. 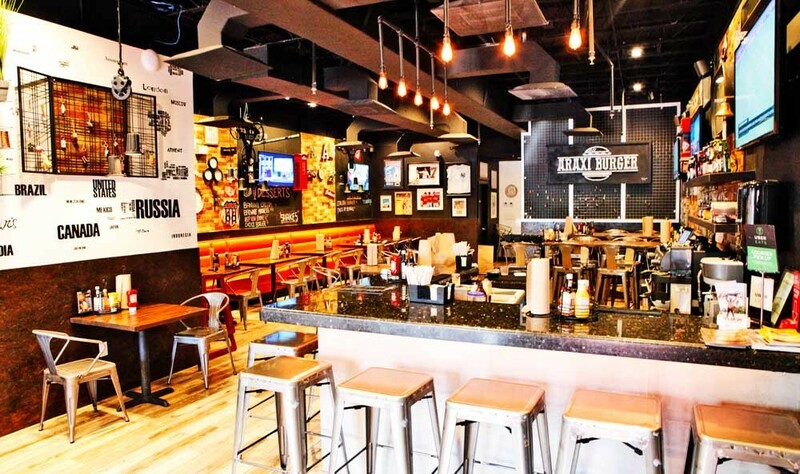 If you’re looking for a quick bite or a place to get dinner with the family, Araxi Burger is the place to go.